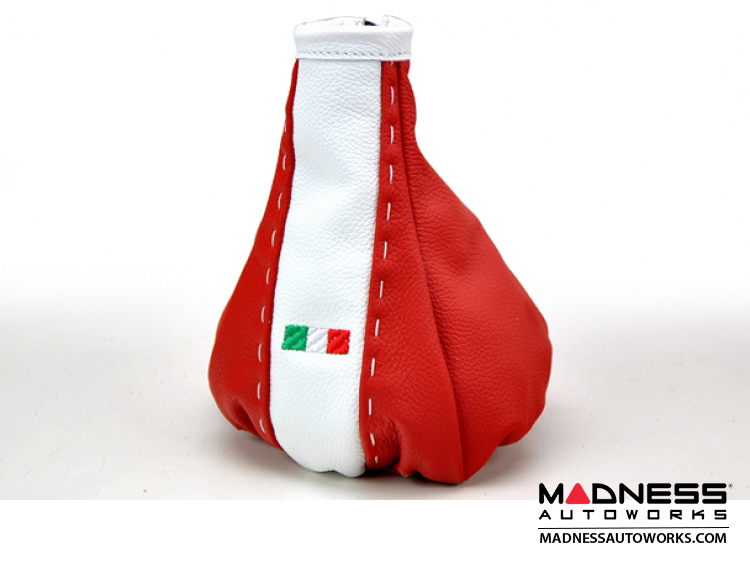 This is the Tuxedo Red Shift Boot manufactured by BLACK. 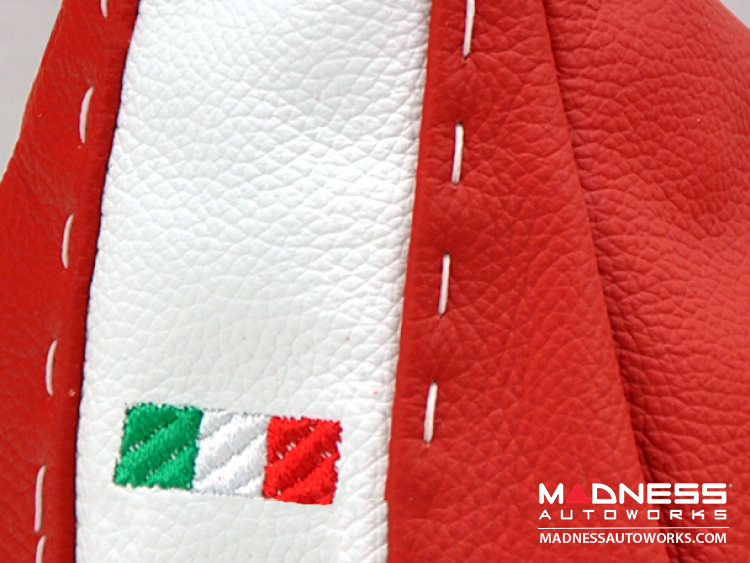 Made out of Genuine Red Italian Leather and hand stitched for a beautiful look and feel. Some of the pictures in the description show the Gear Shift Boot in a Black Color. This is done for illustration purposes only so you can see what the boot looks like in the car. This listing is for a Red Leather Boot, not the Black shown in some of the pictures. 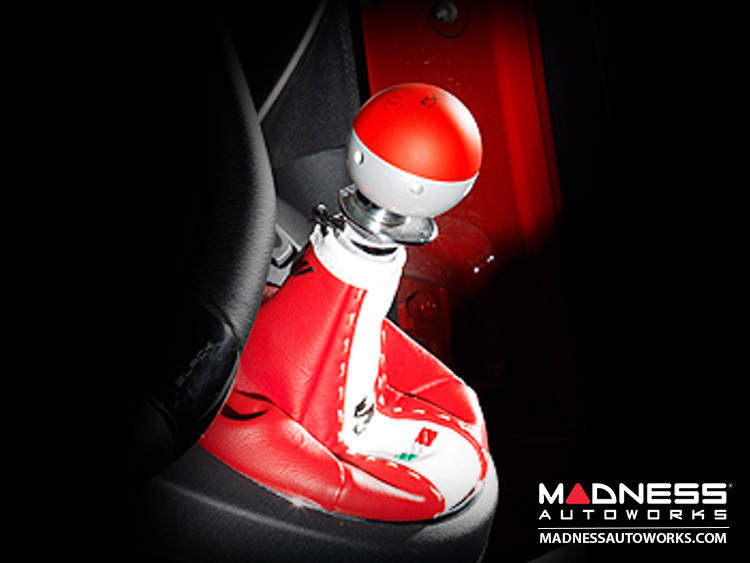 Gear Shift Knob is not included.